In response to increasing demand for managed network and infrastructure services in the Asia market, NetActuate announces the launch of services from a new datacenter location in Singapore. This new location will increase the availability of cloud and bare metal infrastructure, and boost NetActuate’s global network reach and reliability. “As we work with an increasing number of businesses and service providers that need a truly global footprint, it is important for us to expand our capacity and improve our network performance and reliability in the APAC region,” said Mark Mahle, CEO and Principal Technology Architect of NetActuate. 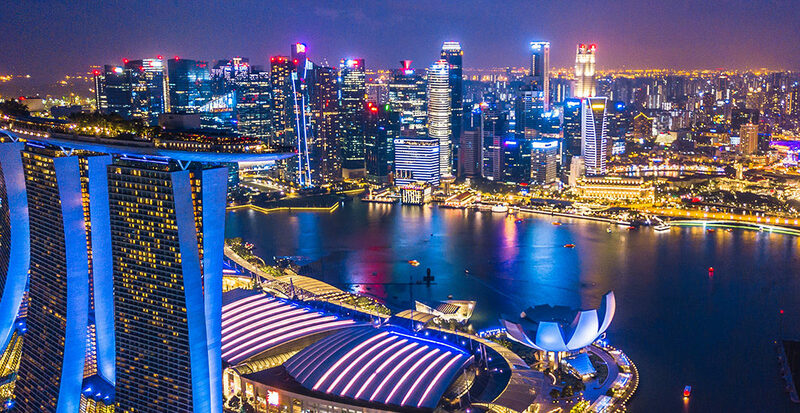 For businesses seeking a reliable, low-latency APAC presence, NetActuate provides managed network and infrastructure services from this new Singapore location, as well as Tokyo, Hong Kong, Chennai, and Sydney. To deliver their applications across APAC and around the world, businesses can leverage NetActuate’s anycast-optimized platform, available from this and more than 30 additional locations worldwide. This new location is one of the most network-dense datacenters in Singapore, housing many of the international and regional networks connecting South Asia. The facility is certified compliant for ISO 27001, PCI DSS, SOC 1 Type 2, SOC 2 Type 2, SS 564, and was specifically designed to meet the stringent safety and data security guidelines of the Monetary Authority of Singapore (MAS). Customers can leverage NetActuate’s cross-border expertise in shipping and customs for managed colocation deployments. To learn more about NetActuate’s services from Singapore, please schedule a call with a solution specialist by calling 1-800-419-2656 or by filling out our contact form. Operating one of the 10 largest IPv4 and IPv6 peered networks in the world, NetActuate helps providers get closer to their end users – no matter where in the world they are. Available from over 30 locations worldwide, our managed network and infrastructure services simplify and accelerate the global distribution of online applications and SaaS platforms. Thank you for signing up for updates! We look forward to being in touch.